Consul General Hong Lei met with Governor Sam Brownback of Kansas in capital city Topeka on February 2. 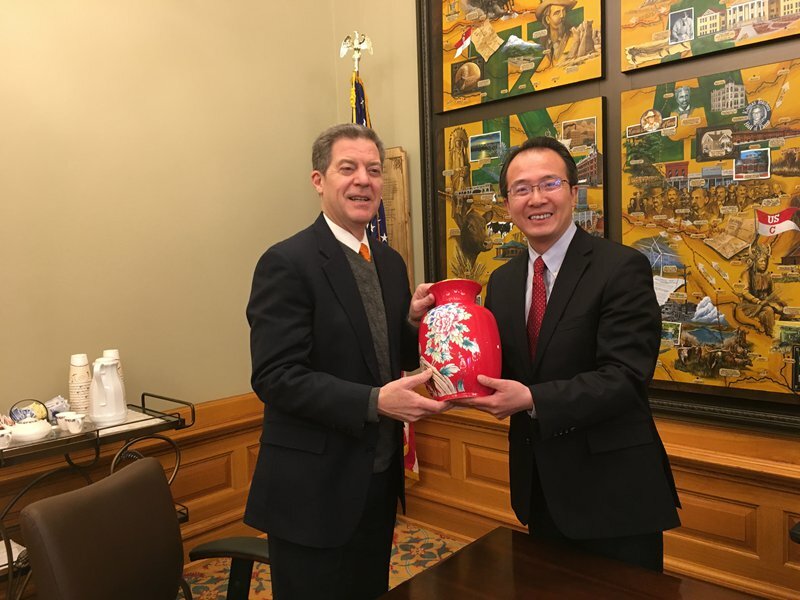 Consul General Hong extented greetings to Governor Brownback for the Chinese New Year, saying that China is a major cooperation partner of Kansas. In the last 15 years, Chinese companies have invested over $ 2.7 billion in Kansas, creating nearly 2,000 new jobs for the local people. Over 4,000 Chinese students study in Kansas, accounting for the most among all foreign students in Kansas. In the next 5 years, China will import $ 8 trillion goods and invest $ 750 billion overseas and witness more than 700 million overseas visits, which will provide important cooperation opportunities for the world including the US. As the largest developing country and developed country in the world, China and the US should cooperate and ensure the sound development of bilateral relations which will benefit the two countries and beyond. China is ready to work with the state government of Kansas to step up exchanges, expand bilateral trade and investment cooperation and promote educational and cultural engagement. 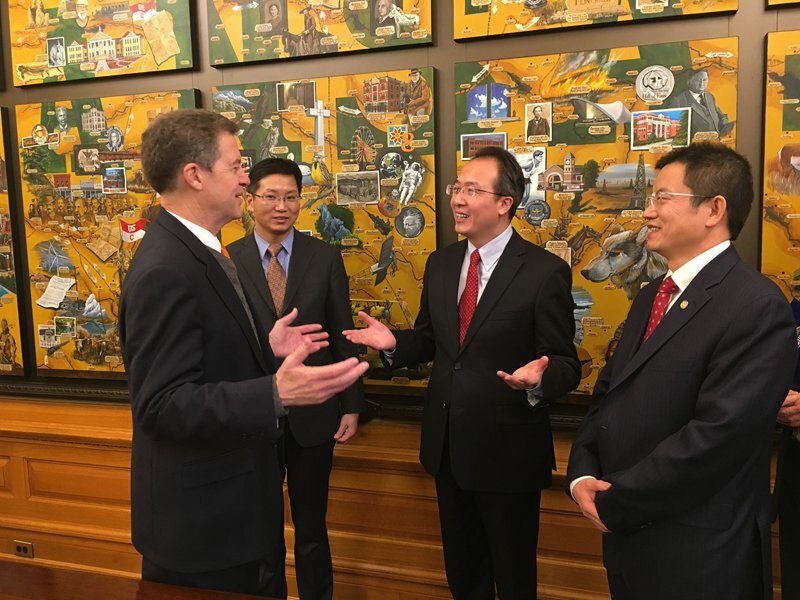 Governor Brownback welcomed Hong’s visit and extended greetings to the Chinese community people in Kansas for the Chinese New Year of Rooster. He said that he had been to China many times before and held great admiration to China and its people and was deeply interested in the Chinese culture. 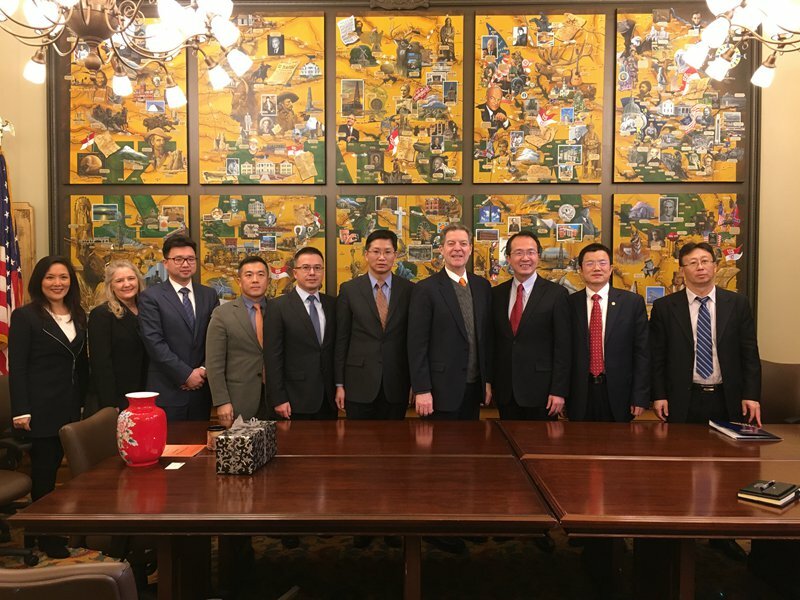 It is pleasant to all to see the fruitful cooperation between Kansas and China on trade and people-to-people exchanges. Like the Chinese people, people in the mid US set great store by family and hard work and have lots in common. Located in the heartland of the US, Kansas has remarkable advantages in aviation, clean energy, animal hygiene and diary food. The state government values its cooperation with China and looks forward to more Chinese investment as it is ready to provide conveniences and services for Chinese companies. 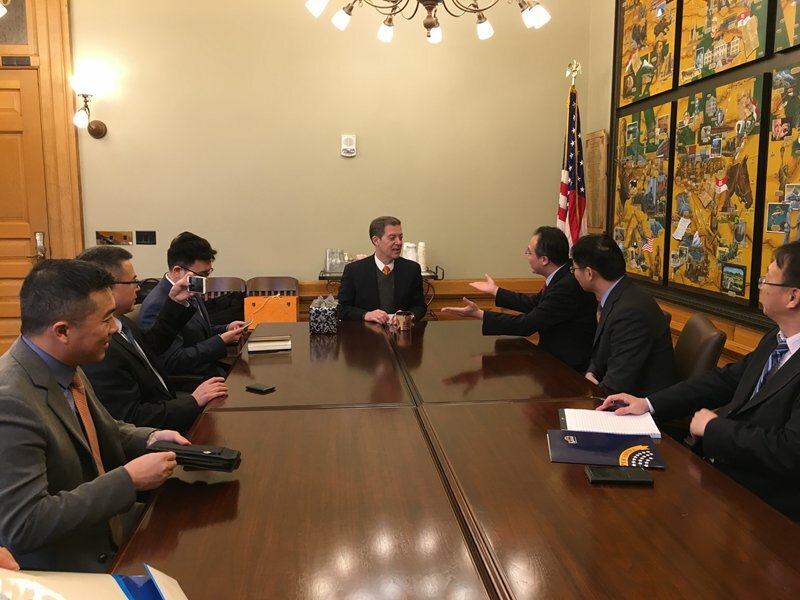 Heads of Wanxiang America Cooperation, ZTE, Wanda Group and Hainan Airlines North America were also present and presented each company to Governor Brownback. Vice Consul General Yu Peng and Commercial Consul Zou Xiaoming also attended the meeting.